I think finishing the initial version of “Slapstick” was the first time that I realized we could make something that sounded that way. That was one of the early songs that we had written. Eric and I had put together the truly initial version of the song before anybody got involved with it, before we had live drums on it or Ricky’s guitar parts or anything like that, or even the final lyrics. It was all just temporary parts — we kind of put those little vocal samples in there, and we had put some synths and some electronic drums, and Eric did the original guitar part that starts the song — and just having that skeleton of the song, it was the first time that I was like “hey this is actually something that I would listen to if I wasn’t in our band,” and that’s a feeling that I don’t think I ever had with the songs that we had made on our other two records. Foxing performed a live session for Stereogum. You can watch that below. 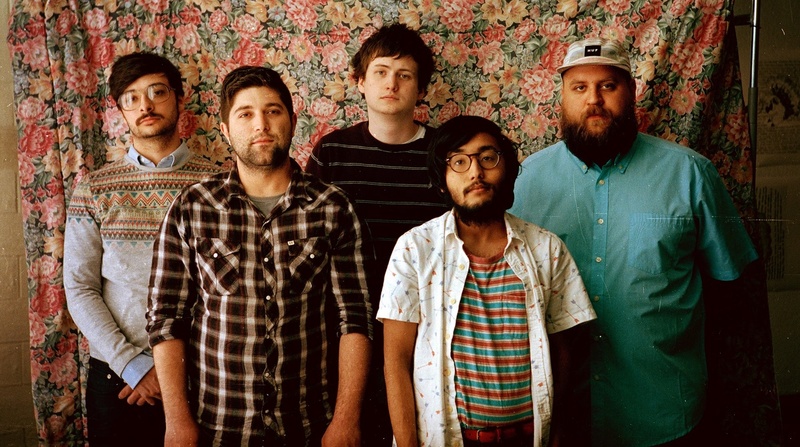 Foxing will release their new album, Nearer My God, on August 10th. Today they’ve debuted a new video for “Slapstick” and pre-orders are now up. Circa Survive and Foxing are heading out on tour together. The VIP presale has begun. It looks like Chris Walla is working with Foxing on their next album. Conor Murphy, the lead singer of Foxing, has started a new solo project called Smidley. You can stream the new song “No One Likes You” below. Foxing have released their new EP, Two, on Bandcamp. Foxing’s cover of Dido’s “White Flag” can be found, along with a message from the band, below. Foxing were in a van accident last night. They are all ok and going to try and continue their tour. A full statement from the band can be found below.